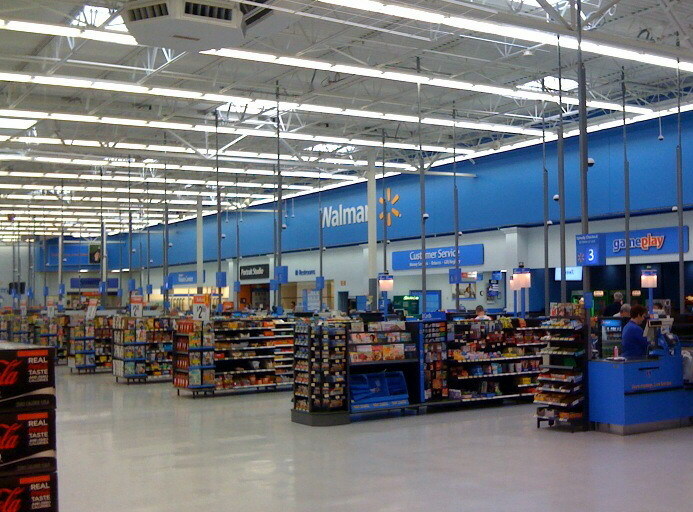 Venture One Construction completed a new Walmart Neighborhood Market store in Rock Hill, SC. 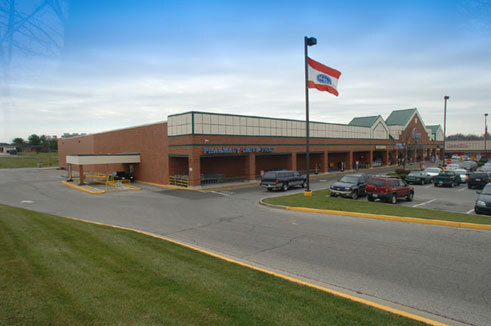 This is a newer, upscale format for Walmart as it consists of a full-service grocery store and pharmacy. The project required the demolition of 4 existing buildings and the relocation of a creek. 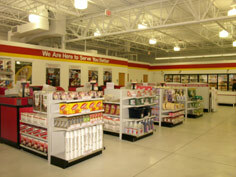 The new facilities include 42,000 square feet of retail space and a new 12-pump fuel station. Venture One Construction completed a new, free standing 55,000 square foot retail store in Merriam, Kansas.Hobby Lobby was open and doing business after only 180 days of construction, racking and stocking. The building was constructed using Tilt-Wall construction. 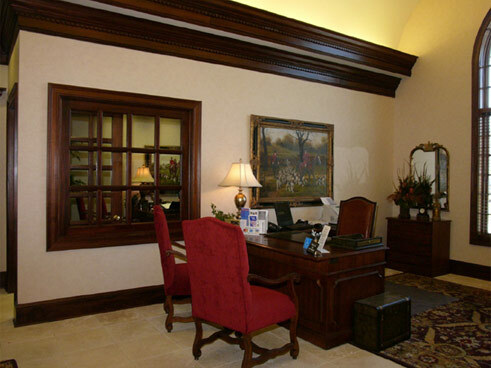 This building method will give the owner many years of durability with reduced maintenance costs. Venture One Construction just completed a new, free standing 12,500 square foot prototype Staples store in Plainfield, Indiana. Through one of the wettest seasons since 2007, Venture One Construction turned over the new retail store in just under 110 days. This prototype will set the trend for Staples with many future developments to come. 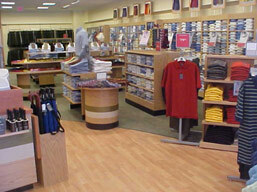 Venture One participated in JC Penny's nationwide roll-out program for their Home Shops. Venture One completed the Home Shops in 5 facilities in and around the Cincinnati area including Colerain Township, Hamilton, Fields Ertel, Eastgate and Florence, KY. The project presented numerous challenges for contractors. There were several plan changes and strict delivery dates. Venture One approached them with enthusiasm and found success. The Home Shops included numerous shops including Bodum, Michael Graves, Celebration, Drink Time and numerous others. 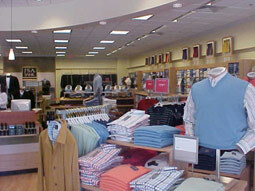 The shops are currently on display nationally at local JCP locations. 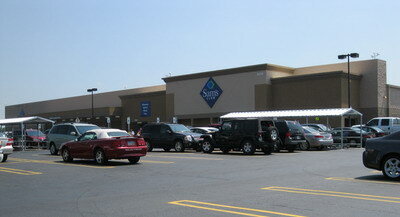 Venture One completed a full-store remodel of the Sam's Club in Loveland, Ohio. 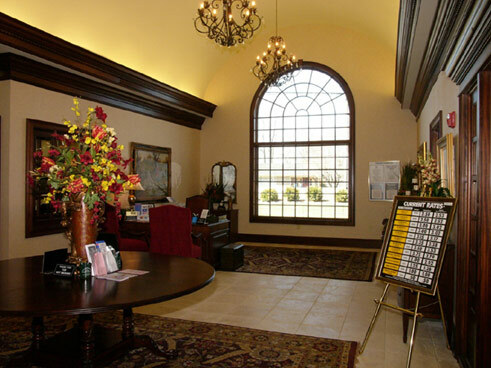 The project included diamond polishing all flooring, remodeling the bakery and deli areas, cleaning and painting all ceilings, remodeling all backoffice areas, adding a new entry vestibule and drive-up loading area and complete repainting of the exterior. All work occurred over 14 weeks while the store remained open. 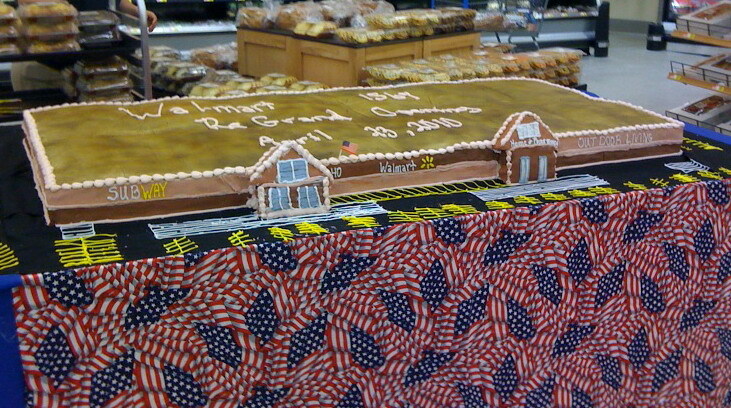 Venture One completed a full-store remodel of the Walmart in Maysville KY. 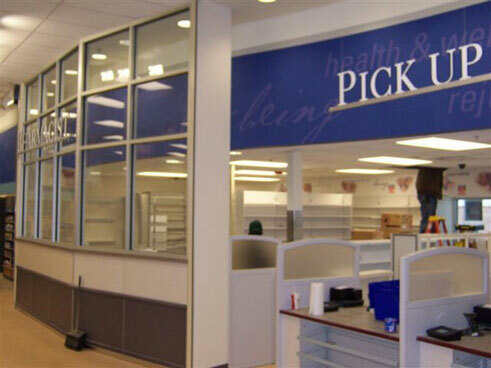 The project included replacing all flooring, remodeling the bakery and deli areas, cleaning and painting all ceilings, remodeling all backoffice areas and complete repainting of exterior. 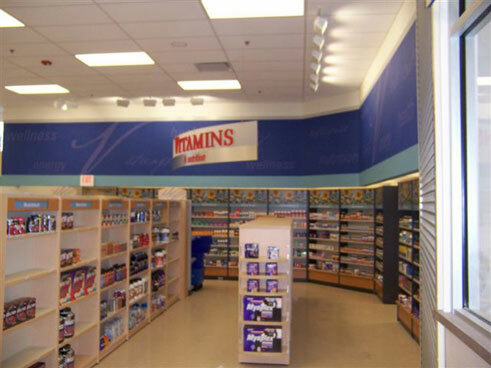 All work occurred over 10 weeks while the store remained open 24 hours per day. 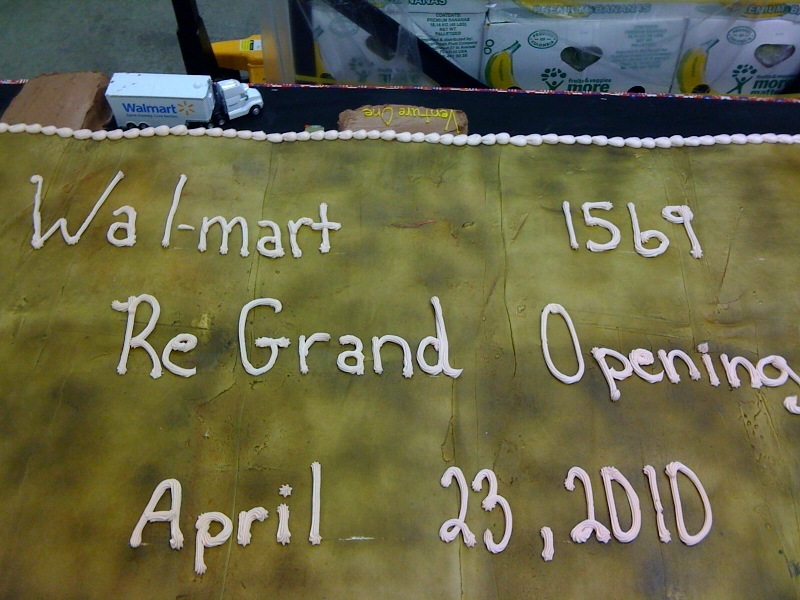 Below is the Grand Opening cake prepared by the Walmart Bakery Department and they even included the Venture One construction trailer at the rear of the store. 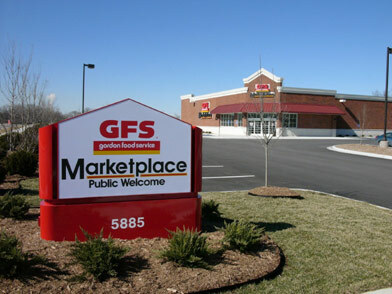 Venture One completed another fast track grocery outlet for Gordon Food Service in Clarksville, Tennessee. 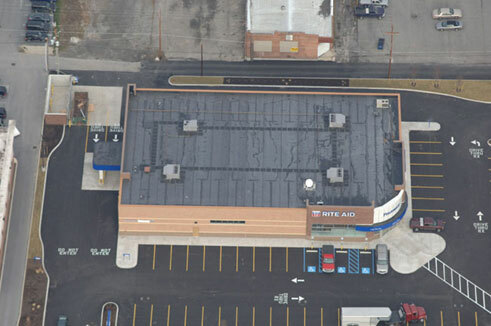 This project included extensive refrigeration and climate control systems within an attractive masonry building with membrane and standing seam steel roofing. Venture One completed this project ahead of schedule allowing the client to open for sale earlier than expected. This was a first for Venture One construction, a complete remodel of and existing store while the store remained open for business 24 hours a day. 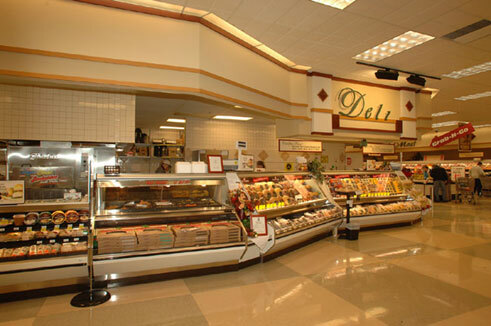 The project included moving departments, relocating refrigeration equipment, tearing down and rebuilding gondolas and installing all new millwork throughout the building all done while the store was open for business. 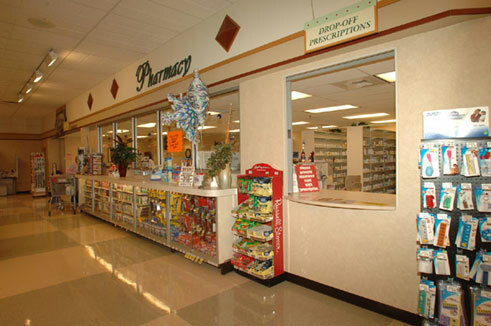 Venture One constructed their first ever store for Newton Oldacre McDonald, a Rite Aid Pharmacy in Lima, OH. This project was developed from the ground up on the corner of Market and MacDonald streets. It required the demolition of multiple structures and minor road improvements done in coordination with the city's efforts of repaving the roads. 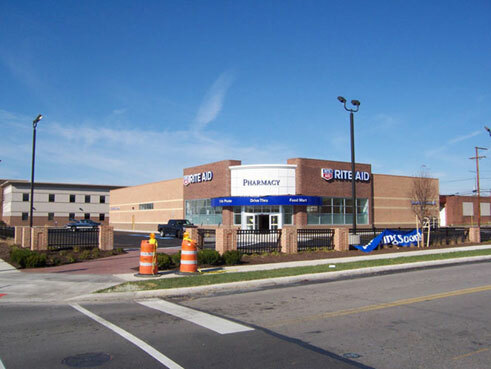 The Rite Aid was one of three stores being built in that area at the same time. The project was a complete buildout with decorative fence and brick pilasters surrounding the property. The project was completed on time and under budget and received an award from the City of Lima for best looking building in the city quadrant. 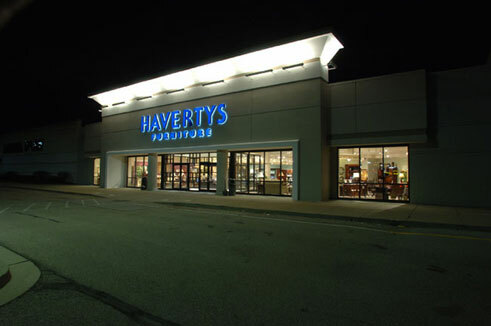 Venture One's construction of the Haverty's Furniture Store was another successfully completed projected. 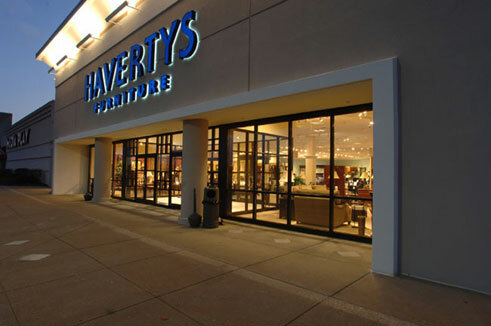 This was the first store that Haverty's and Venture One completed together and due to the many challenges and opportunities would be considered a success. The complete renovation of an existing office supply store into one of the nations most premier furniture stores was completed on schedule and successfully made a long awaited (by the residents of the community) grand opening. 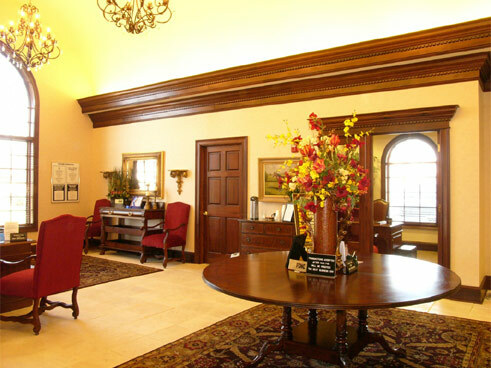 The project build incorporated complete reworkings of all mechanical and electrical systems while maintaining the warm, relaxed atmosphere created by the attention to every detail from the large amount of carpet to every last nail head in the crown moulding. 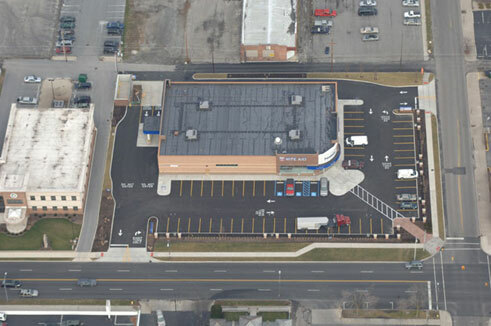 Venture One's construction of this branch bank facility included a complete redevelopment of one existing city block, through the demolition of several existing structures and integration of the parking areas into all adjacent roadways. 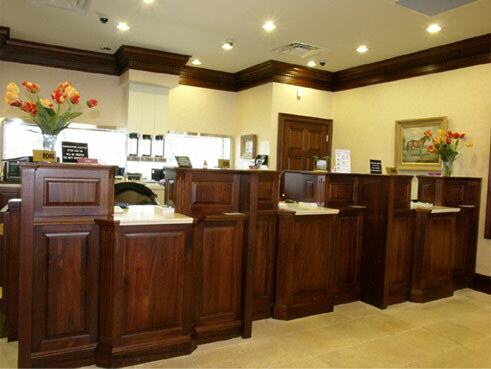 The branch bank was completed in approximately 16 weeks, within the Owner's schedule and allowing for a timely branch opening to the public. 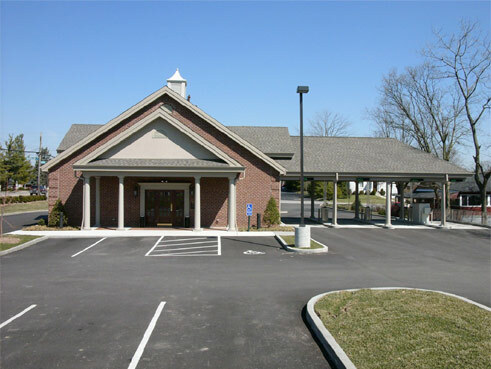 The wood frame structure was wrapped with a combination masonry, EIFS, and siding veneer. Venture One completed the fast track construction of another new 14,000 sf grocery outlet in Florence, Kentucky, in 19 weeks. This was the fourth successful grocery project in the partnership between Venture One, Paradigm Design, and Gordon Food Service. The project incorporated a combination architectural colored block and Quik-Brik masonry bearing structure and a combination of standing seam and rubber roofing over a steel roof support system. This project included construction of a portion of city roadway leading to the remainder of the new development behind the site, which had to be integrated with the existing neighboring bank site. 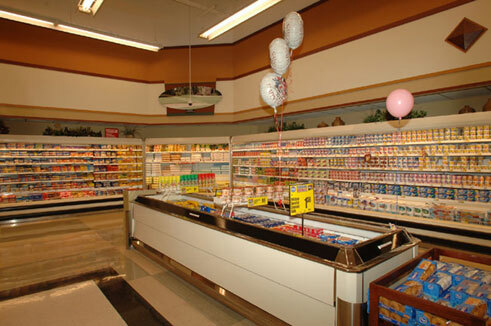 Like its predecessors, the project was turned over within the Owner's schedule, allowing for a successful and timely store opening. 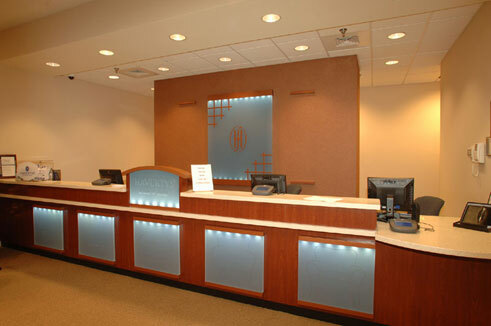 Venture One completed the construction of this approximately 4,000 SF Jos A. Bank Clothiers store in the winter of 2004-2005 as part of an ongoing construction partnership between Venture One and Jos A. Bank Clothiers. 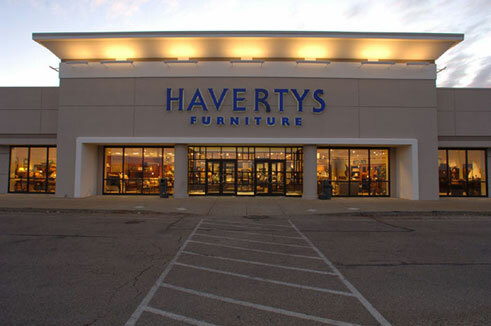 This store was a complete fit-out of a new white box at the esteemed Jefferson Pointe Shopping Center in Fort Wayne, Indiana. It included full fire protection, HVAC, electrical, plumbing, drywall, framing, flooring, ceilings, and carpentry packages, all of which met the high finish quality demanded by Jos A. Bank. 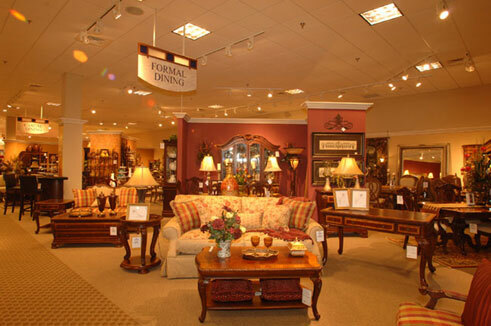 The project was yet another store turned over on time within a less than seven week schedule, which allowed for Jos A. 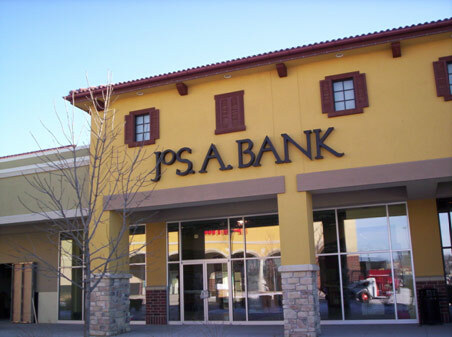 Bank operations to quickly equip the store for a timely grand opening. 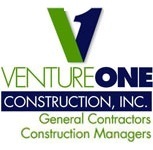 Venture One Construction doubled the size of the Lowe's garden center in White Marsh, Maryland with an approximately 17,000 square foot addition. 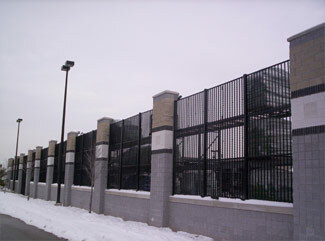 In order to satisfy local planning and zoning boards, the project combined architectural split faced, scored, and smooth custom colored block with ornamental iron fencing for aesthetics, while also satisfying the stringent Lowe's security requirements with continuous expanded mesh in all areas. The project also included upgrading of the existing paving to a new concrete design, as well as upgrading of the site lighting for increased safety and customer access to the new area. 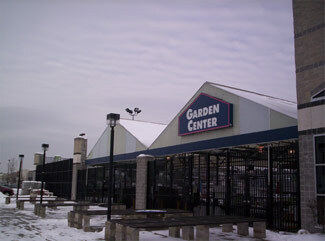 The addition was completed through bitter Maryland weather in the late fall and early winter. This is one of many garden center and staging area additions that Venture One has produced for Lowe's Companies in order to increase its rapidly growing garden center and lumber/large equipment revenues. 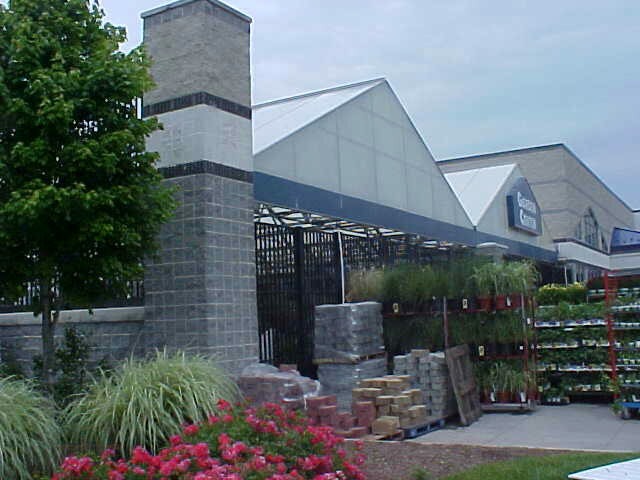 All Lowe's garden center and staging area projects are completed during full store operation, requiring intense security, safety, and traffic coordination to avoid hampering Lowe's operations. 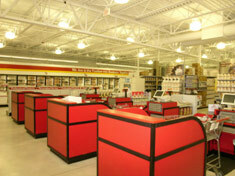 Venture One completed an open store remodel of Sam's Club #6307 in Columbus Ohio. 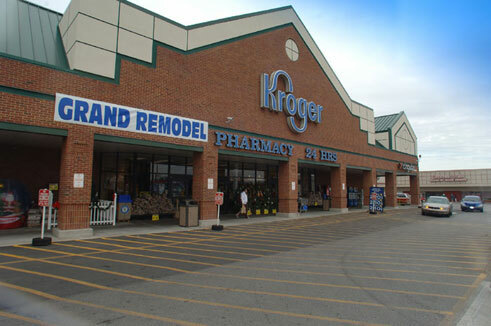 Highlights of this store include an exterior facelift as well as interior renovations such as diamond polishing of floors, new paint throughout, equipment upgrades & additions in various departments including the bakery, produce, meat, cafe, pharmacy, vision care, photo and customer service areas. All work was completed within a 17 week schedule.